Mageia 4 has been released on Feb 3rd 2014. For Mageia 3 users, you will get a notification to upgrade. Just click on it and after answer a few questions, you're set to go. I just did that and at the time of this writing, I'm using Mageia 4. From my point of view, I didn't notice any major differences in terms of usability beside the usual change of wallpapers, screensavers and a little bit of widgets. I'm sure, overtime I will find more and more. The Welcome dialog (see below) is a very good approach for newcomers and newbies alike to Mageia world. 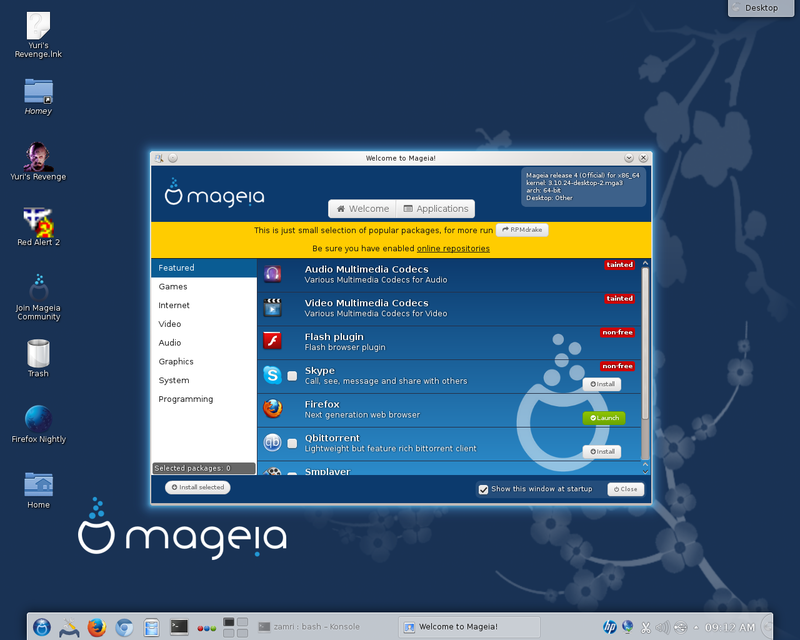 For those who are in search of a distro, Mageia is worth to try.